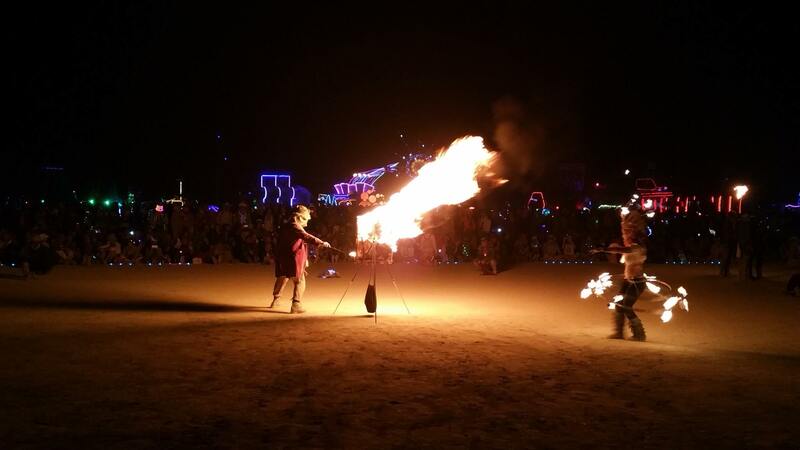 Fire is the very heart and essence of life. For it is phenomena rather than substance, that is revealed, seen and touched in ways of risk and ritual. 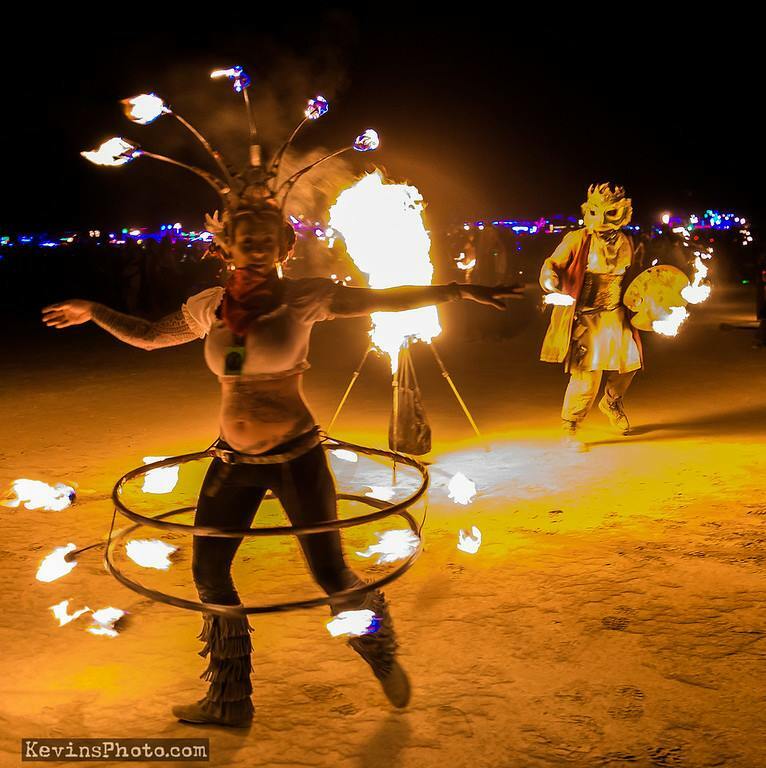 Burning Man s ceremonial fire activity encompasses the spirit as well as the body and mind. 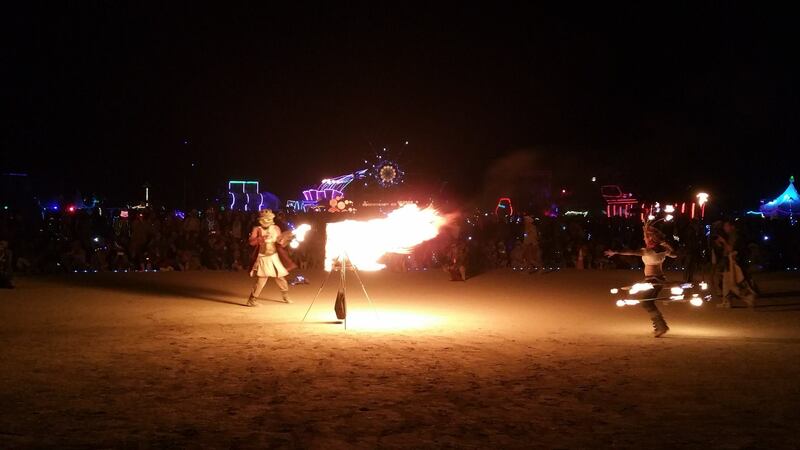 The gathering of people dancing and drumming around a fire goes back to the beginning of Burning Man and beyond — it is the original, essential form of dance that crystallizes community. 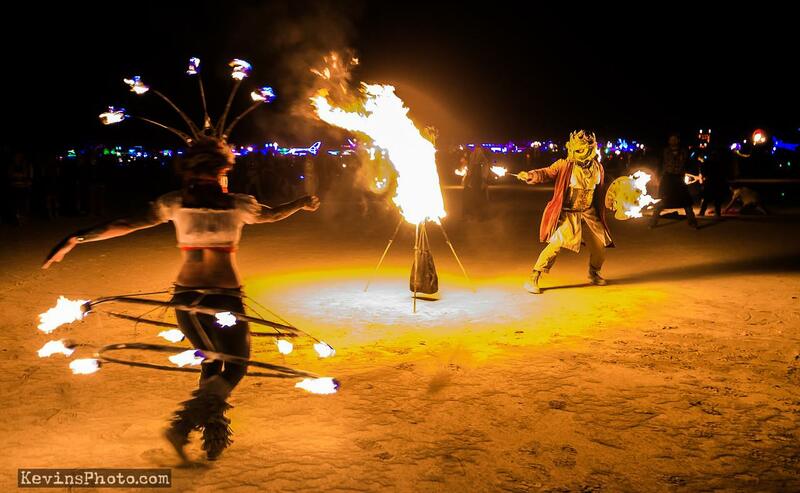 By summoning the power of the flame to flow through us, it strengthens and transforms our spirit.